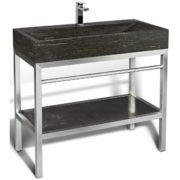 Delivering a modern and avant-garde look, this dynamic bathroom vanity combines elemental nature with industrial strength. Designed by nature, the grey limestone sink marries contemporary design with natural elements delivering a serene uncluttered ensemble. if you are renovating, redesigning your bathroom or simply needing a new washbasin, let VNM-003 + LPG-014 – 39″ Stone and steel bathroom vanity unit add class and style to your Bathroom. 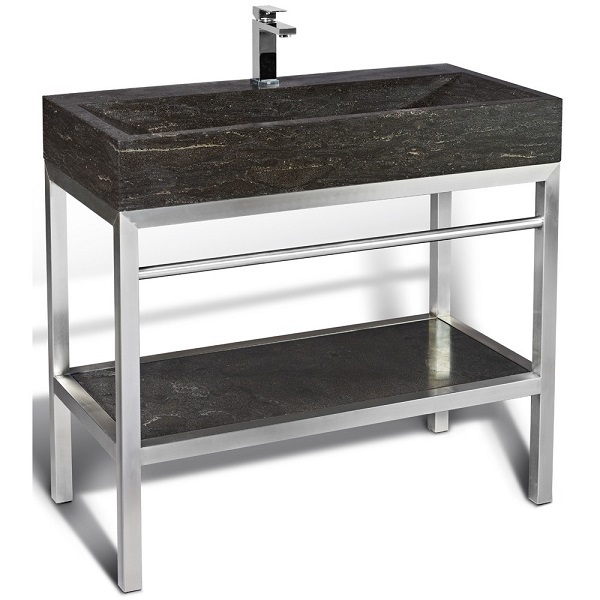 Be it a Traditional, Transitional, Modern | contemporary style Bathroom sinks at a great prices, consider VNM-003 + LPG-014 – 39″ Stone and steel bathroom vanity unit by unik.